A new study, published in the JAMA Psychiatry, investigates the effect of stimulant ‘ADHD’ drugs on the brains of children and young adults. The results of the randomized, double-blind, placebo-controlled trial, the ‘gold standard’ for evidence in academic medicine, indicate that methylphenidate (Ritalin) has a distinct effect on children that may lead to lasting neurological changes. “Because maturation of several brain regions is not complete until adolescence, drugs given during the sensitive early phases of life may affect neurodevelopmental trajectories that can have more profound effects later in life,” write the researchers, led by Liesbeth Reneman, a physician and researcher at the University of Amsterdam. 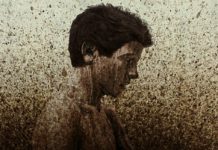 Even as methylphenidate hydrochloride (Ritalin) is the most frequently prescribed treatments for attention-deficit/ hyperactivity disorder (ADHD), and is increasingly being used by a greater percentage of children in the US, little research has been done on the effects of the drug on the developing brain. Up to this point, the effects of this particular drug on the development of the brain in children and young adults have only been studied in animals. “The adolescent brain is a rapidly developing system that maintains high levels of plasticity. As such, the brain may be particularly vulnerable to drugs that interfere with these processes or modify the specific transmitter systems involved,” the researchers write. “Safety investigations on the effects of methylphenidate on DA function in the developing brain are scarce in children. Regardless of this alarming paucity of findings, increasingly greater numbers of children and young adolescents are exposed to methylphenidate, many of whom likely do not meet the criteria for ADHD,” Reneman and her colleagues note. In the first attempt to investigate “neurochemical imprinting,” and age-dependent brain changes, in humans, the researchers designed the Effects of Psychotropic Drugs on Developing Brain–Methylphenidate study. The multicenter trial randomly assigned 99 male patients diagnosed with ‘ADHD’ to either treatment with placebo or methylphenidate. After sixteen weeks and a one-week washout period, the researchers observed the dopaminergic function in children and adults using fMRI technology. After four months of treatment with methylphenidate, they found significant changes in the brains of children that were not present in adults. It was hypothesized that the changes induced by the drugs in children might have a positive effect on the symptoms associated with ‘ADHD,’ but this was not the case for the children in this study. MIA Research News Editor: Justin Karter is a writer, researcher and community organizer with graduate degrees in both journalism and community psychology. He is a doctoral candidate in Counseling Psychology at UMass Boston, an active member of the Society for Humanistic Psychology, and is currently working on several scholarly projects at the intersection of psychology, social theory, and political philosophy. Child drugging leads to addiction by teaching kids how by doing drugs you can change the way you feel. I worked at a substance abuse treatment center and also attended it. Drugs were a constant topic of conversation so it was easy to ask the young people if they were drugged as kids for ADHD and the majority said yes. So first they teach you to do drugs to change how you feel and think and have you doing it all through childhood every day up then down and crash, then with the ADHD drugs the anxiety and depression jittery crash that makes you want to have a few drinks or a pain pill or two to level off and relax. I know this I have took Adderal for a wile. Maybe with these new electronic medical records someone will notice the pattern how its the psych med kids getting caught up in addiction. If it’s not ok to give a child meth from the corner drug dealer because we feel that the drug will adversely affect them in many ways, particularly because of their developing brains, why is it ok for psychiatrists to prescribe Ritalin, which is essentially legal meth? The two are essentially the same drug. This has never, ever made any sense to me at all. Anyone with any sense at all knows that this can’t be good but psychiatrists and GP’s go merrily on their way, prescribing this stuff to kids right and left. It makes me sick, the medical community should be aware of the fact speed is bad for you, I was taught this as a child. The_cat, there are actually multiple studies (easily found on google) that have found that children/adolescents with ADHD who are treated with stimulant medications are far less likely to abuse drugs or alcohol in their lifetime versus children/adolescents with ADHD who are never treated with stimulants. People with ADHD who are not being treated tend to make more impulsive decisions (a symptom of ADHD) and tend to self medicate with drugs and alcohol. ADHD medications should never make you “feel” differently. If they do, then they aren’t on the right medication. I treat kids with ADHD and I always ask them “do you like your medication, don’t like it, or don’t care?” I want them to say (and they almost always do say) “I don’t care, I don’t notice anything since I’ve started the medicine.” But when I ask parents and teachers, they should all say “we have noticed big positive changes in behaviors.” If I ever hear a child tell me they feel different in some way or do not feel like themselves, that is the first sign to me that they are not on the right medication or dose. Most medical providers do not have good experience with ADHD and are either not diagnosing correctly, or not prescribing the right medications. But when a good, thorough diagnosis is made and the right medications are prescribed at the right doses, these medications can make significant positive changes to a child’s life. Stephen Gilbert, I hear you about not giving meth to kids. Adderall, Ritalin, “speed,” and “meth” are all forms of stimulants that are ‘essentially’ the same thing. However, so are caffeine and nicotine. One could argue that Adderall/Ritalin are as closely related to speed/meth as caffeine is related to speed/meth. Caffeine is actually found to be much more addictive and with more severe side effects than Adderall/Ritalin when prescribed at the correct doses to kids that actually have ADHD. This study is great and a follow up is very needed. These medications can have many negative side effects, but can also be essential in a child’s social and academic success, again, when prescribed correctly. Its August and like every year the NAMI website has the usual Back To School (how to get your kid on drugs) headline on its home page. More http://www.psychforums.com/anti-psych/topic167537.html This thread has over 2000 views , lots of more people know NAMI is a pharma front now lol . I would have been shocked if research had NOT eventually come to this conclusion. Dumb MDs and shrinks have been using a couple of generations of children as guinea pigs. How could off-label psych drugs NOT adversely affect a developing brain? A parent didn’t have to be Einstein to have the common sense to keep her/his child away from these pill-dispensing quacks. I hope parents speak to pharma in the only language it understands: class-action lawsuits. drugs affect the brain? 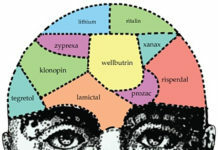 drugs affect childrens’ brains in big, big ways? Here’s the thing…as another poster has pointed out, that’s fairly obvious. Leave it to psychiatrists to ignore the obvious in favor of dogma and dollar$. What’s particularly troubling to me is that Ritalin may be one of the less dangrous drugs that kids these days are exposed to. The “atypicals” are often given to kids, especiallly foster kids, minority kids, low income kids, etc. 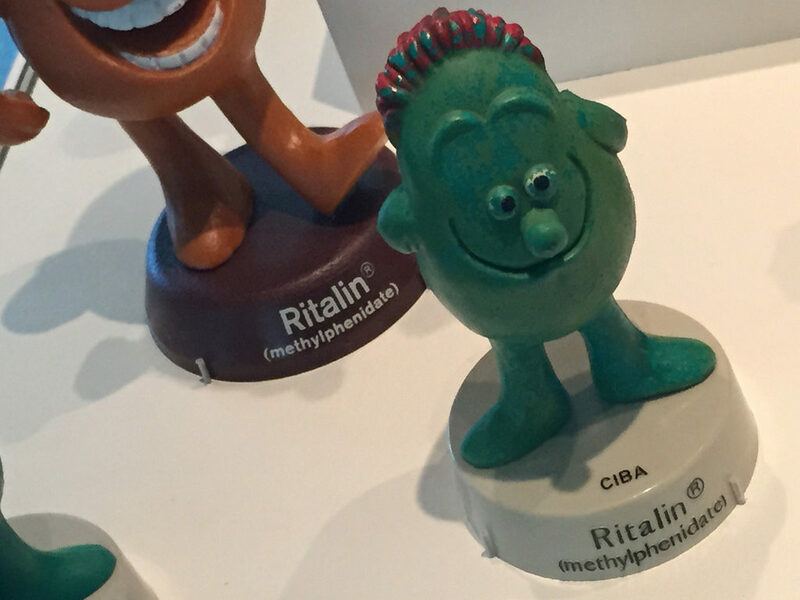 Those drugs are dangrous in ways that make Ritalin look like…well, child’s play. Hopefully, more people with credentials–MDs, PhDs, etc.–will speak up and do something to help people in Mental Health, Inc. Until then…research like this is interesting, but it probably won’t do a whole lot to change prescribing habits. No, it likely won’t change prescribing habits on the whole anytime soon. But hopefully it can be used by parents and advocates who are aware enough to challenge the system, evidence to point to that supports their valid refusal of such drugs. I’ve never personally experienced an ADHD drug, but agree the atypical antipsychotics are horrendous drugs, they were confessed to be “torture” drugs by the UN in 2013. I’m shocked and disgusted they’re being prescribed on such a massive scale to the so called ADHD children in the US. The ‘atypical’ antipsychotics create the negative symptoms of ‘schizophrenia’ via neuroleptic induced deficit syndrome (NIDS), and the positive symptoms of ‘schizophrenia’ via anticholinergic toxidrome. But since these medically known ADRs of the ‘atypicals’ are not listed in the DSM, they are almost always misdiagnosed by the psychiatrists and mainstream doctors with a billable DSM disorder. Out of sight, out of mind. The mesolimbic dopamine system (MDS), the reward pathway of the brain, is one of those later maturing brain regions. Incidentally, it is the likely region where drugs produce dependence and abuse. 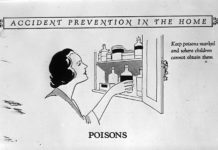 In his book, “The Science of Addiction,” Carleton Erickson said neuroscientists believe that when the functioning of certain MDS neurotransmitter systems are disrupted from genetic “miswiring” and/or long-term exposure to a drug, “chemical dependence as a bran disease” can develop. The Schrantee et al. study was said to be the first evidence that using ADHD medications can alter brain development. So when studies of the long-term consequences are done, one of the questions that should be investigated is does the long-term use of stimulant medications effect changes to the MDS of the brains of adolescents and young adults; and are those changes related to a greater risk of substance abuse.